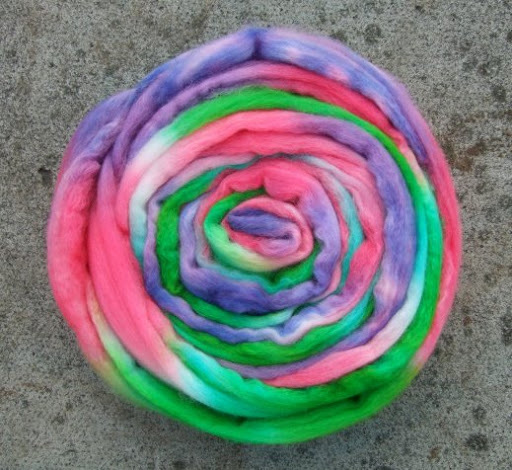 To make up for the gloomy weather, have a look at this lovely fibre I acquired yesterday. Sarah dyed it specially for me. Yum! 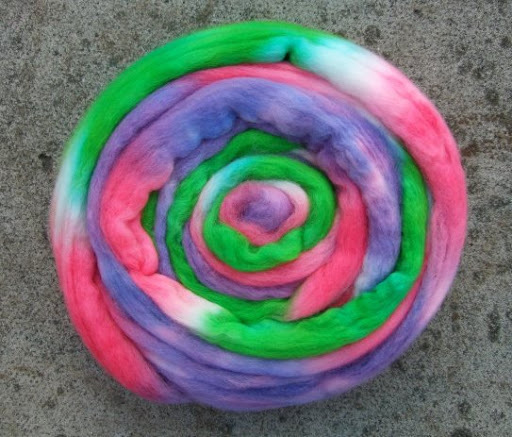 I need to get some spinning done. NEED.